We fired up some fresh Lync accounts the other day for a couple of users who were going to only be using a VVX 500 handset. 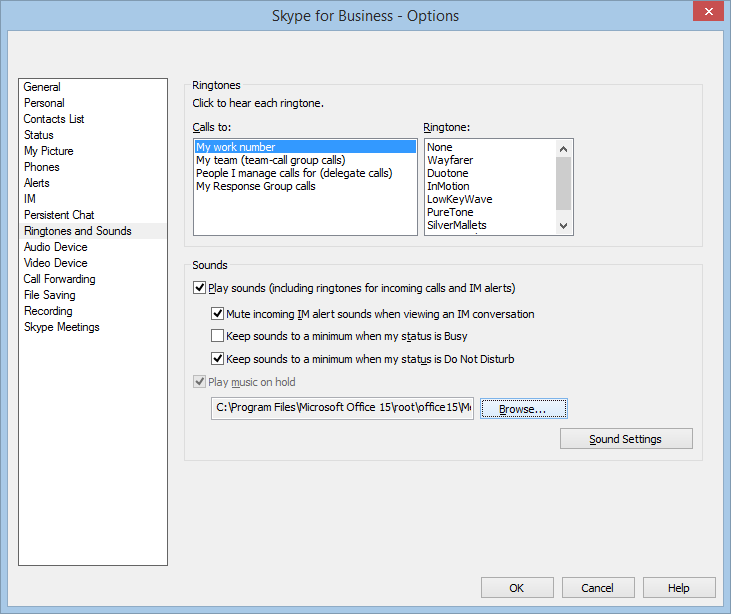 They weren’t even going to be using the Lync/Skype client for messaging – they were just telephony users. I can imagine a number of scenarios where you may have this type of user, like a concierge or guard station where only a phone is required. Unlike all the rest of our users, these accounts didn’t see their voicemails listed when they pressed the messages icon on their phone. Dialing in to the unified messaging subscriber access was fine, and the messages were there, but they just weren’t showing up when the user pressed the envelope icon. 0714111148|ec |4|00|’calllogs’ service did not received expected folder ids. Aha! Can’t find the voicemail folder, eh Lync? Sure enough, when you log in to Outlook, you’ll find that the normal Lync folders haven’t been created yet. I assume that the Polycom UC software is set to look in the “Voice Mail” search folder, but as this folder hasn’t been created the phone gives up and shows a blank screen. The solution? 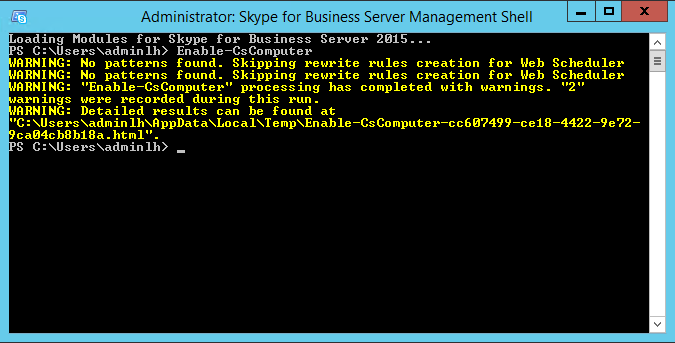 Log in to the account once with the desktop Lync 2013 / Skype for Business client. This initial login will create all the necessary folders required, and visual voicemail will start working correctly. 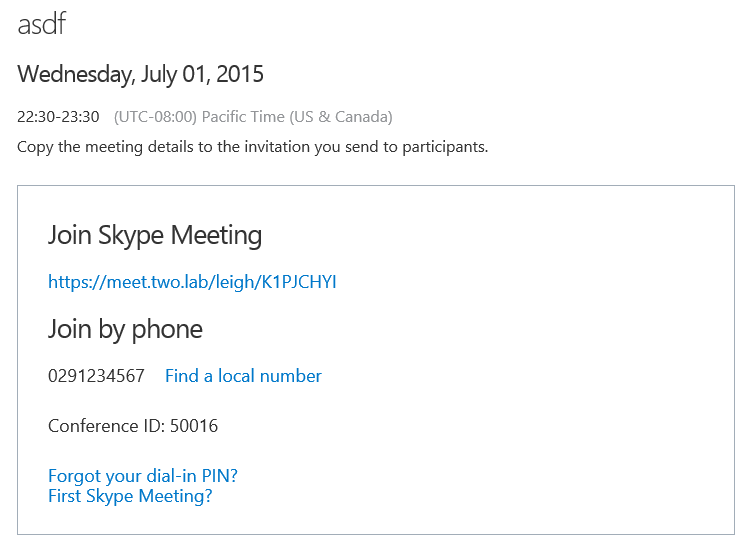 A little while ago an update was seeded to Lync 2013 users on Windows Phone which let us know that Skype for Business was on its way. Today that rollout has taken place, at least for me, with the latest version being delivered to my devices overnight. It’s always nice to wake up to new software. It’s been delivered as an in-place upgrade for Lync 2013 for Windows Phone. So far it’s just Windows Phone which has received this update (or Windows 10 Mobile if you’re using it). Android and iPhone should be coming soon. The number on the customer’s system was a 1300 number – for those outside Australia, it’s like a toll-free number, but it’s the cost of a local call to the caller, and the owner of the number pays for the call costs beyond the standard local call time. As most business calls are quite short, this usually works out in the 1300 number owner’s favour. Anyhoo, it turns out that a little while ago a junior engineer had taken the ticket to remove the existing state-based numbers and replace them with a single number for all of Australia. He created a new conference region for the new number and attached it to the Global dial plan. He then changed the region for the 1300 number from “Sydney” to “Australia” and deleted the rest. Seems logical. 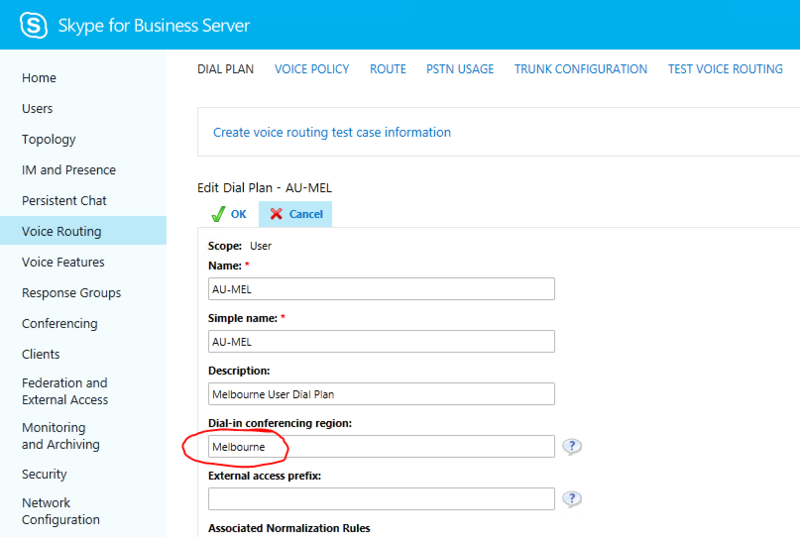 We find that it wasn’t updated when the “Melbourne” conferencing region was deleted to make way for the Australia-wide one. As a result, Skype can’t give the user a number as it doesn’t believe it has one in that region. The solution? 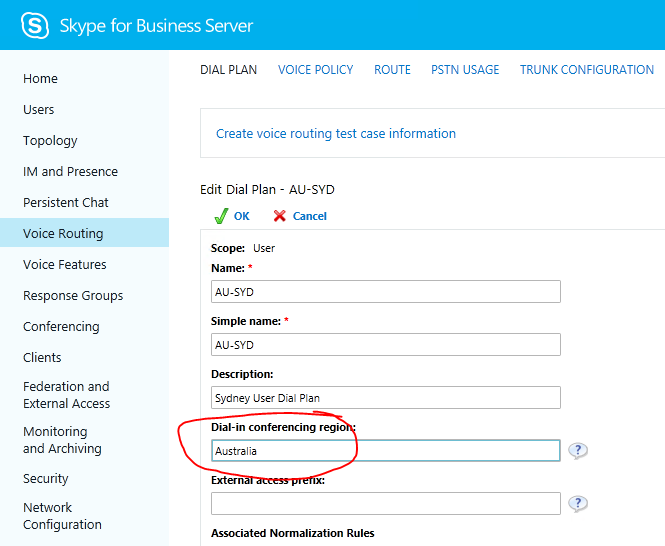 Either change all the dial plans to “Australia” as their conferencing region, or add all regions to the dial-in access number. I chose the first option, as I didn’t want to see multiple regions listed on the dialin page. Now when we create a meeting, all the correct information is shown. 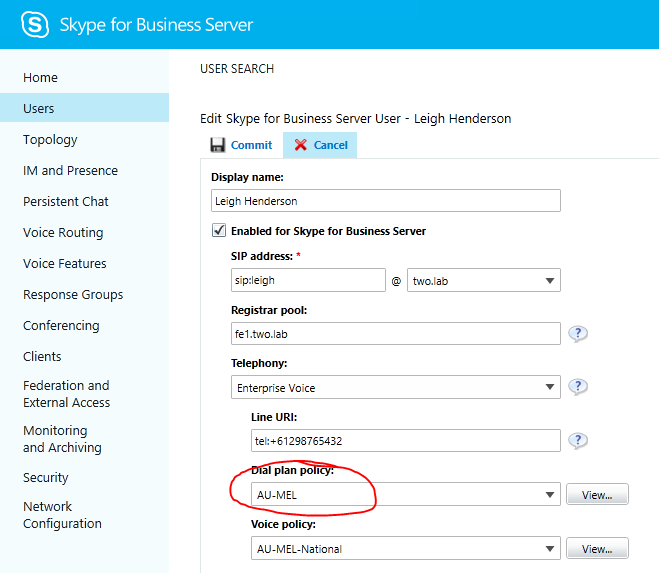 When deploying a new customer Lync 2013 environment, we found that music on hold wasn’t working for the customer’s end users, who were using the latest version of the Office 365 click-to-run version of Skype for Business (15.0.4727.1001). This was raised to us as a fault where customers were complaining they were being cut off when placed on hold. In truth, they weren’t cut off – they were just hearing silence. PS> Set-CsClientPolicy -Identity Global -EnableClientMusicOnHold $TRUE -MusicOnHoldAudioFile "C:Program FilesMicrosoft Office 15rootoffice15MediaDefaultHold.wma"
After giving it a while to update on the client end, music started functioning properly again. 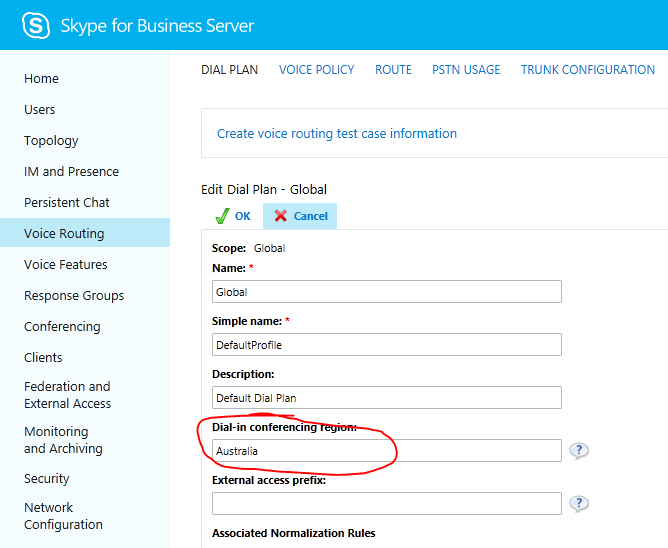 Note, however, this will cause problems if you’re running different versions of Skype for Business or Lync, or if you’re running Lync Phone Edition devices, as the file location will most likely not exist for those clients. The other alternative fix would be to have each user select the music on hold audio file in their options menu by clicking the Cog menu and selecting the Ringtones and Sounds option, then pressing browse next to the music on hold file listing. When the explorer window appears, click the file and press ok to force the client to use this file. LyncLab, part 1: Everything you wanted to know about Hyper-V but were too afraid to ask. If you’re anything like me, you build up and tear down your lab on a regular basis. You might do this because you’re studying, you might want to try out new ways of doing things, or you might just want to flex your buid muscles while you’re in an operations period to keep your skills fresh. I run a local lab on my home desktop, and found myself tearing it down quite regularly, so I decided it was time to script, streamline and document the process as much as possible. In this first entry of this series, we’ll do the groundwork for the Lab. We’ll install Hyper-V, create a template disk which can be “cloned” for future builds – all machines will use differencing disks so we can keep the footprint of our lab to an absolute minimum. The first machine will be a Windows 2012 R2 Server Core install, which is as lean as you can get. We’ll also run a windows update from the comandline, and finally we’ll sysprep the machine in preparation for cloning. In future entries in this series, we’ll make a child differencing disk and install Server GUI, which will then become the parent disk for any machines which require it, we’ll create an Active Directory, a Lync 2013 Enterprise pool, and maybe a few more goodies.